Montreal - in Quebec, Canada - hosted the 1967 'Expo' show. It was there that the Alfa Romeo Montreal made its début. 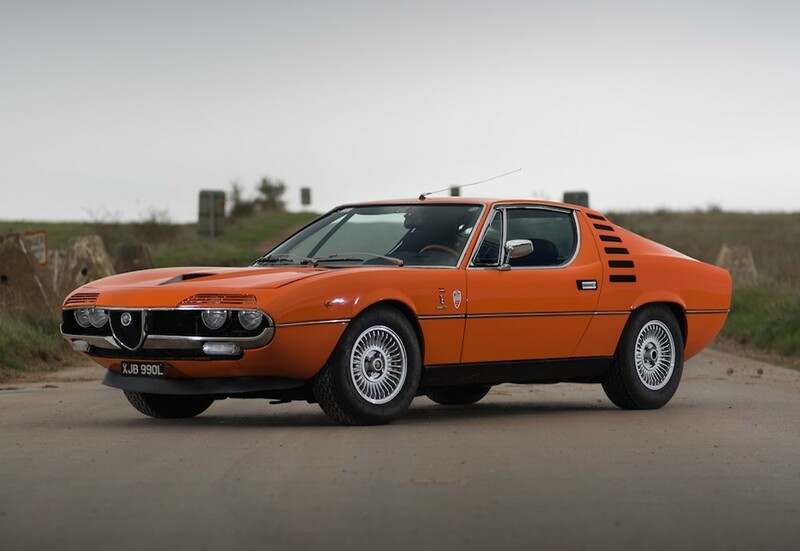 Designed by Marcello Gandini, there was never a doubt that the car would turn heads! Especially, once Gandini's employer - coach-builders Bertone - had worked their magic. Saying that, the Montreal did not sell in shedloads. But it did give Alfa a much-needed publicity boost. The Montreal stayed in production for seven years - following its 1970 launch. Ironically, Montreal itself was off-limits, sales-wise - due to the city's strict emissions regulations! Performance-wise, the new Alfa lived up to the hype. Its fuel-injected V8 gave 132mph. That was quick - particularly, since the car was no lightweight. Its motor was taken from the Tipo 33/2 race-car ... suitably de-tuned for the road! It still made 200bhp, though - revving up to 6,500rpm. Torque was terrific! Engine-wise, then, the Montreal was hard to fault. Unfortunately, the same could not be said of every component! The Montreal's live axle rear suspension was softly sprung ... too softly sprung! Cornering could be compromised. Steering, too, was suspect, at speed. Its gearing was set up for a more sedate pace! The Montreal's brakes, at least, were not an issue - the ventilated discs being well up to snuff. All in all, though - as a Grand Tourer, at least - the Montreal more than passed muster. Which gave Alfa a crack at a new market. One thing was for sure - few complained about the car's looks. In terms of styling, the Montreal was as Italian as they come!